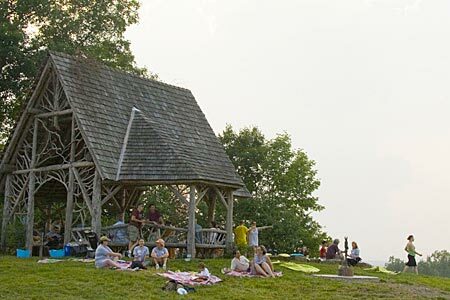 Scenic Hudson parks connect people to the majesty of the Hudson River, its storied shorelines, and the beauty of the bucolic Hudson Valley landscape. While we keep our parks open to the public all year long, they also make great venues for special events and group outings, and even the occasional movie set. To use a Scenic Hudson park for such an activity, we ask that you complete the appropriate application and agreement forms below and submit them 4-6 weeks before the date of the activity. Download and complete the appropriate application form and agreement. Scenic Hudson will contact permit applicants with any questions and to verify information within 1 week of receiving an application. After application is thoroughly reviewed and all pertinent questions are satisfactorily answered and all application materials are received, Scenic Hudson will issue its decision in the form of a letter to the applicant. A letter approving the request will serve as the permit. Activities with fees associated with them. Activities that request any part of the park to be closed to the public or that involve the use of special event equipment (tents, portable toilets, dumpsters, generators, food service equipment, etc.) or motorized vehicle use. Routine park activities that will include 10 or more people, whether private or open to the public. School groups and educational activities/studies of any sort, civic organizations, club activities, scout groups, etc. Scenic Hudson requires 4-6 weeks advance notice for Special Event Permits and will try to accommodate shorter notice for Group Permit applications. Permission for park usage is contingent upon there being no other scheduled uses of the park at that time. Scenic Hudson reserves the right to postpone or deny a permit if it conflicts with its own park activities. Applications must be for park uses that are in keeping with Scenic Hudson's mission and goals. Permission for the event will be granted by Scenic Hudson in writing and is not guaranteed by submitting an application.